Unwanted Car Removals - Upto $5999 for Used Cars! Are you tired of having your unwanted car sitting around in your garage, rusting and taking space? Well, don’t just let it sit there and deteriorate. That car can be your ticket to a fresh bundle of cash. Did you know that you can get cash for any junk car, regardless of whether you have the if the car works? With Hazara's unwanted car removal, you can get your car removed for free and get cash in return. All cars, no matter the condition or functionality of the car can be sold for cash. A car’s value lies not only in whether or not it runs, but in the parts and scrap metal that it can be used for. Therefore, no matter how old your car is, or even if it can’t start, you can get some cash for the car. 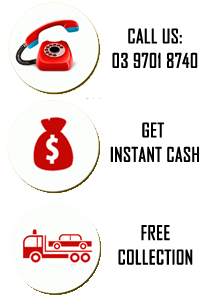 You can easily sell unwanted cars for cash without having to transport the vehicle yourself. It’s a convenient and profitable way to get rid of an old car. How to Get $5999 Cash for Your Car? First off, contact Hazara Car Removal. If you describe the car in detail, you will get an estimate over the phone for the car. Then, set up an appointment for when you want the car to be removed. No matter where your location is, we can get the car removed. We offers free pickup Melbourne wide, and you won’t have to pay any expensive fees to get it removed. Just simply have the car ready to be removed and get it towed away. So if you have any cars in your garage that you don’t want, get them removed for easy cash. You may have previously thought that the old car you have in your garage isn’t worth any money, just give us a call on (03) 9701 8740 or 0409 145 434. You obviously won’t get the same amount you would for a fully functioning car, but it is still a substantial amount of money. Even the oldest cars can get top dollar. Don’t let that potential goldmine continue to rust in your driveway or garage. 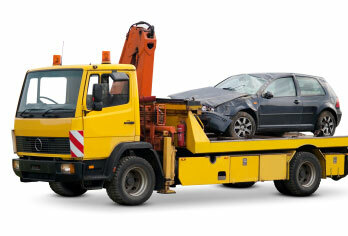 Contact an Hazara car removal and get it removed today. It’s fast, easy, and guaranteed cash for those old, unwanted cars. Note: If the title is in someone else’s name, we must get that person’s approval to sell the car.